"Zimbabwe's Chiwoniso performs entrancing and uplifting songs with ancient soul and modern spirit. Backed by the mesmerizing interlocking melodies of the mbira and the deep grooves of an all-star lineup featuring some of Zimbabwe and South Africa's top musicians, Chiwoniso's voice resounds with defiant strength and profound tenderness. With a sound that recalls the fire of Angelique Kidjo, the inspiration of Oliver Mtukudzi, the rebellion of Thomas Mapfumo and the soul of India.Aire, Chiwoniso is one of the most exciting talents in African music today." 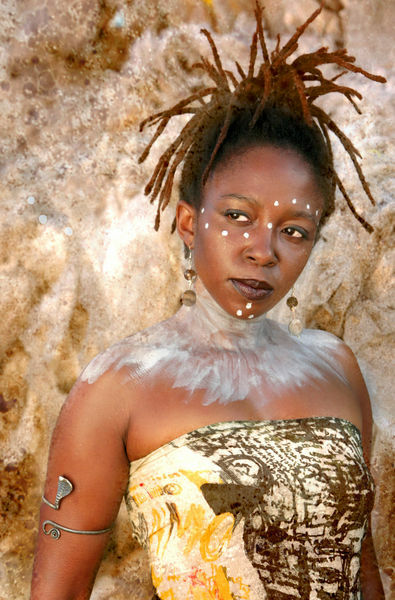 "I am like a mirror," declares Zimbabwe's popular music star Chiwoniso Maraire. "I basically sing about what I see happening in the world. If someone comes up to me in the street to ask for money I'll sing about that. If people are jumping borders because their economic situation is too difficult, I'll sing about that. If the police are beating people up and intimidating them, I'll sing about that." In recent months, Zimbabwe's political and economic turmoil has thrust the turbulent African nation into international headlines. Based in the capital city of Harare, Chiwoniso lives in the eye of the storm, observing firsthand as her beloved homeland struggles to overcome the enduring legacies of colonialism, war, social inequality and political oppression. A devoted advocate of free speech, human rights and social justice, Chiwoniso's music gives voice to the voiceless and speaks to the problems and joys of the world around her. On "Rebel Woman", Chiwoniso's first internationally released album in over ten years, her soulful and deeply personal songs offer messages of hope, inspiration and resistance, and serve notice that this gifted singer and songwriter merits recognition as one of Africa's greatest young talents. 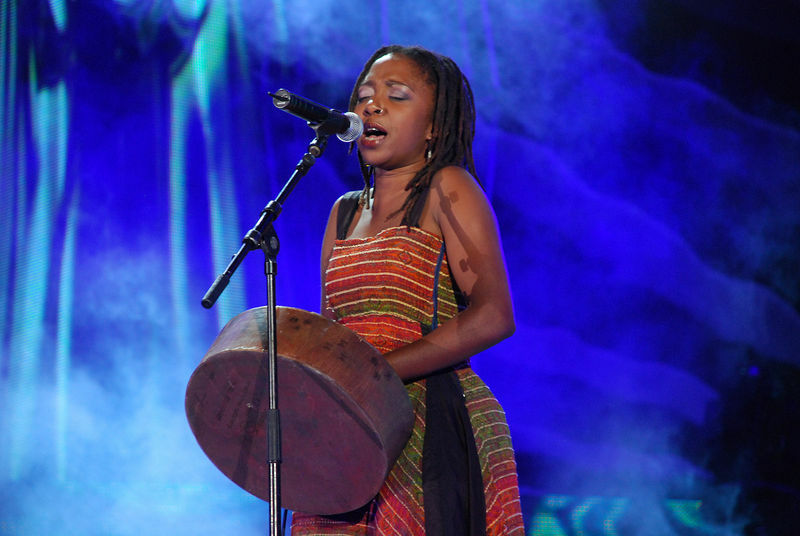 While Zimbabwe's ancient musical traditions serve as the foundation of Chiwoniso's music, she is the child of a globalized world and her songs reflect her diverse, multicultural influences. " 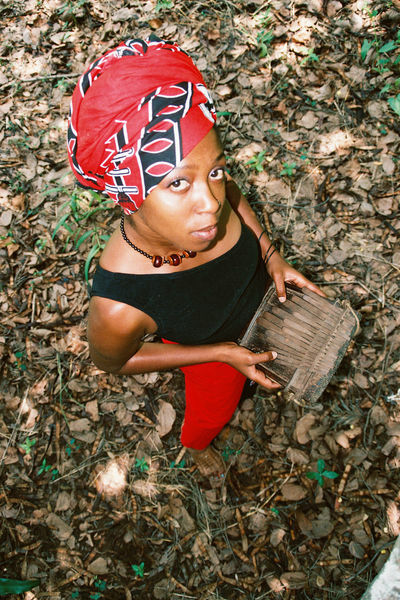 "While Chiwoniso's musical influences range from soul and R&B to reggae and rock, the entrancing sounds of the mbira serve as a central underpinning for the songs on "Rebel Woman". Originating in the ancient Shona civilization of southern Africa, the mbira is a musical instrument made of metal tines attached to a wooden board. The player plucks the tines with their thumbs to create captivating interlocking melodies, which have accompanied ceremonies and celebrations for countless generations. While variations of the mbira exist across Africa, it is an essential element of Zimbabwean music tradition and has a deep historical, cultural and spiritual symbolism." "With her feet back on the ground and revitalized creative energy, Chiwoniso has spent the last three years working with producer Keith Farquharson on "Rebel Woman". Recorded in Zimbabwe, South Africa, England and Vermont (where Cumbancha and its partner company Charles Eller Studios are based), the album features some of Southern Africa's most respected musicians and an intriguing collection of guests. Louis Mhlanga, who has also recorded with Nigeria's King Sunny Ade, South African icon Hugh Masekela and others provides the albums tasty guitar licks. Zimbabwean Drummer Sam Mataure, a veteran of Oliver Mtukudzi's band, lays down his trademark rock solid rhythms, while saxophonist/flautist Steve Dyer guides a crack horn section. Meanwhile, members of Cumbancha's extended family, such as Idan Raichel Project percussionist Rony Irwyn, Belizean producer/guitarist Ivan Duran and keyboardist Charles Eller lent their services for cameo appearances. The result is an appealing collection of songs that range from the soothing, unadorned mbira and voices of "Pamuromo" to the rousing, celebratory dance beats of "Gomo." With a sound that recalls the fire of Angelique Kidjo, the inspiration of Oliver Mtukudzi, the rebellion of Thomas Mapfumo and the soul of India.Aire, Chiwoniso is one of the most exciting talents in African music today.